A birthday is a time to celebrate birth itself, the joy of life. It is also an occasion to rethink a life: How great is the disparity between what someone has accomplished and what they can accomplish? We asked ourselves this question while raising a glass of chilled Bollinger to the Queen of England on her 90th. The answer is simply that she has performed superbly and honorably and accomplished a great deal with grace and intelligence. Not easy over a 64-year reign. This is an ideal time to visit England and London especially to join in the hoopla. Though her actual birth date is April 21, the city is celebrating with events starting in May. Most celebrations are in Windsor Castle and tickets are hard to come by but you can catch a glimpse of her Birthday Parade June 11 with 1400 soldiers, 200 horses and 400 musicians. Through January 8, there’s an exhibit called Fashioning a Reign: 90 years of Style From the Queen’s Wardrobe rotating between the Palace of Holyrood-house in Edinburgh, Buckingham Palace and Windsor Castle. But rather than monkeying around with crowds to get into the royal birthday spirit, we suggest you head for Bellamy’s in Mayfair, the only public restaurant the Queen has dined at in the past ten years. And she has been here not once, but twice! And for good reason, too. 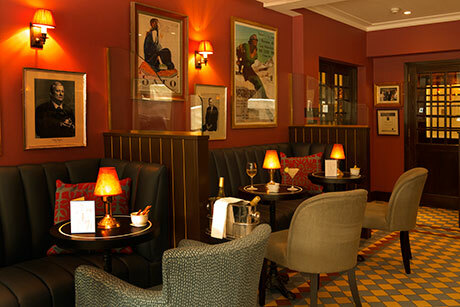 Bellamy’s is a French brasserie of distinction that has achieved a grand reputation on word of mouth alone. Sure, its denizens include art dealers, nobs, business moneybags, writers, actors, models, toffs and the glossy Maybach crowd who respond with ecstasy to Bellamy’s club-like atmosphere, but we recommend it because of its excellent cuisine– unfussy and classic–and a wine list that is sensibly priced and as deep as the cellars of a Bordeaux first growth. Service is top notch, thanks the dashing owner, a gentleman of rare charm and wit, whose pedigree includes Annabels. 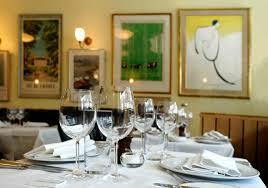 Try steak tartare or Dorset crab, terrine, oysters, caviar, grilled fish or lamb. Finish with heavenly chocolate cake. It will be perfectly cooked and effortlessly served. 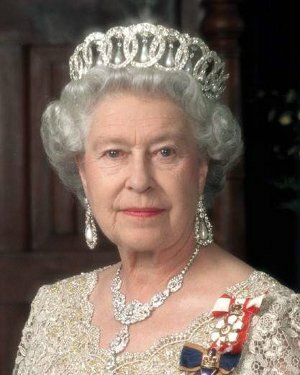 Order up glass of Chablis or Burgundy—no, make that a bottle–and toast the longest-reigning monarch in British history. She would certainly approve and surely toast along with you if she were there.